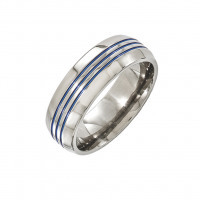 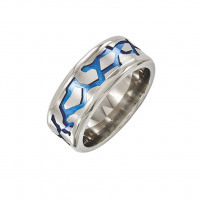 A fusion of elements is used to create this wedding band. 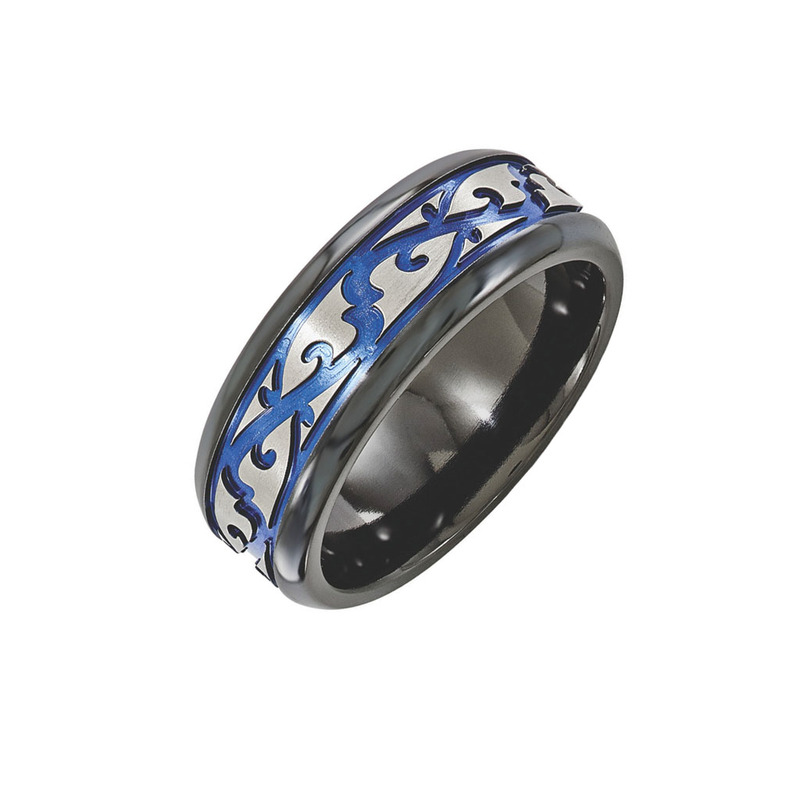 The band is forged in black titanium, while the overlay is made of plain titanium. 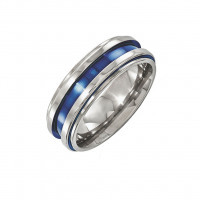 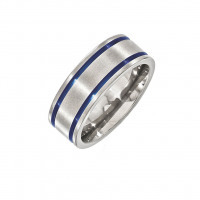 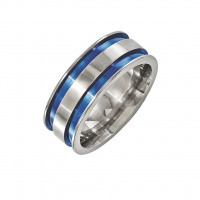 The creative pattern is done in blue anodized titanium, which displays an incredible contrast. 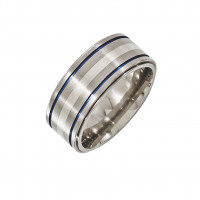 We offer this band in a 9mm width. 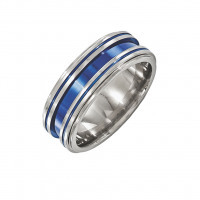 Please use our filter to find the perfect combination, or contact us if you don't see what you're looking for.